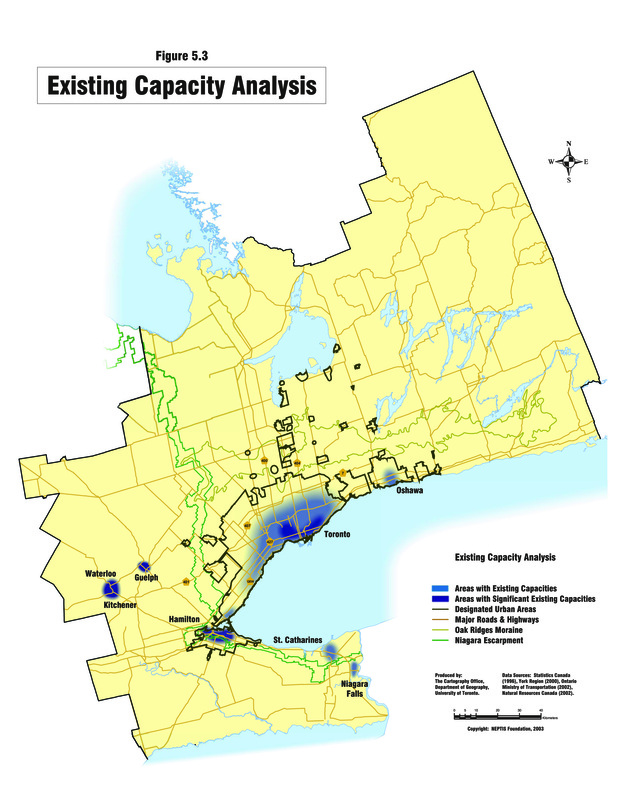 Describing growth as "a limited resource to be strategically deployed so as to create maximum benefit," Blais identifies locations in the Central Ontario Zone where growth could improve urban form, address social needs, improve livability, and reduce costs. 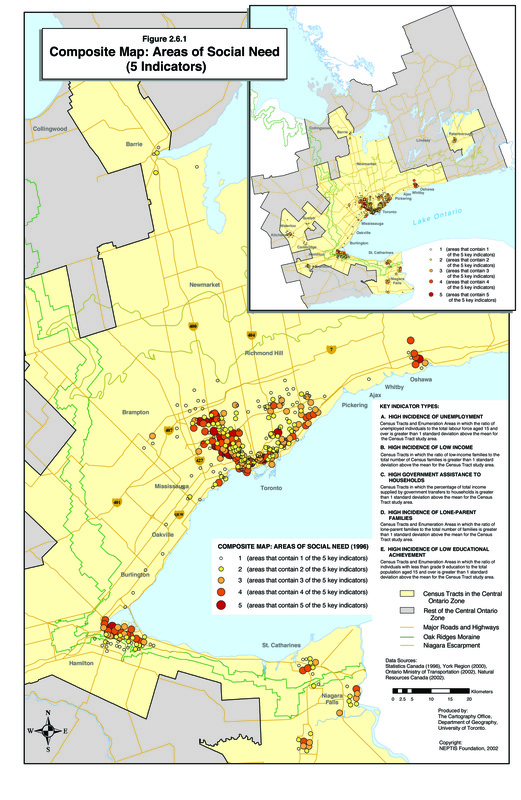 A series of maps indicate areas to which growth could be directed: (1) areas of high social need, characterized by high levels of unemployment, lone-parent families, low educational attainment, low income, and government assistance; (2) areas in which increased density and a greater mix of land uses could support alternatives to automobile travel; (3) areas with low levels of traffic congestion and available capacity on transit lines and in schools. 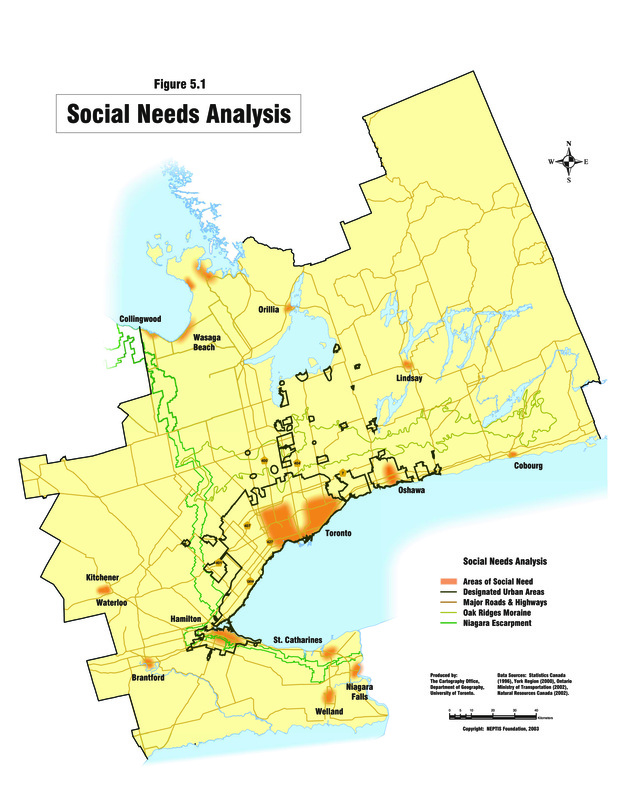 Areas in which several factors overlap would benefit in multiple ways from growth, and Blais recommends targeting growth to such areas. 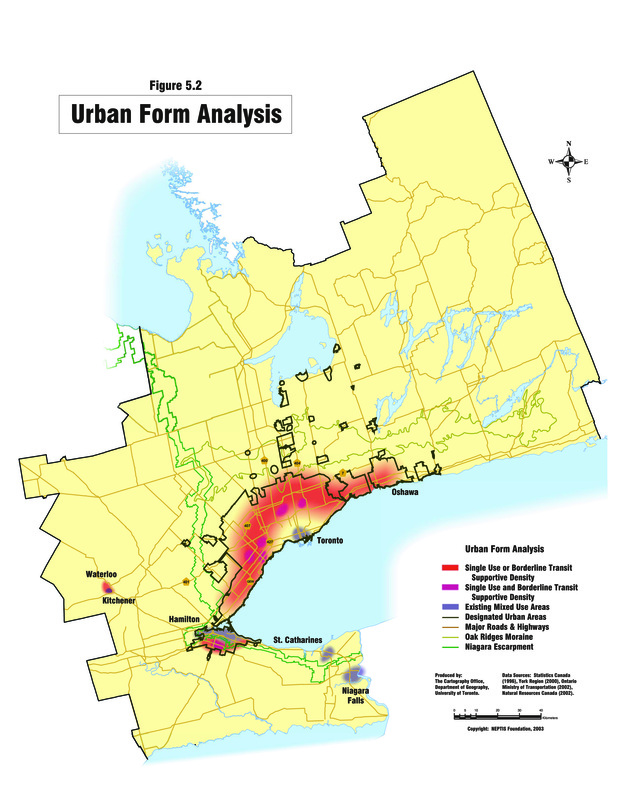 Which areas in the GTA can benefit from directed growth to improve quality of life? 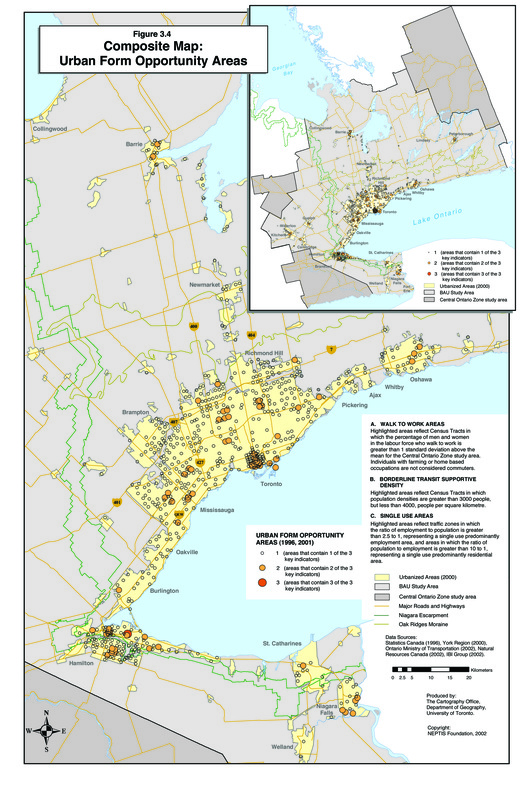 How and where is the Greater Toronto Region growing?